While global seafloor exploration progressively reveals the tremendous diversity and fragmentation of deep-sea ecosystems, their sensitivity to climate change remains largely unconstrained. Not only the conservation of biodiversity needs attention, but also the synergistic effects of climate change and increasing exploitation of resources (fishing, extraction of minerals and hydrocarbons) on deep-sea ecological functions and services. Synergies across marine and climate sciences, geosciences and economics have established new paradigms and confirmed the vulnerability of the deep-sea to climate change. Observations provide growing evidence of the influence of climatic forcing on ecosystems of the deep-seabed over many temporal scales (e.g. from storm events to climatic ocean oscillations). Numerous ecological hotspots are affected such as seamounts, ridges and canyons. Significant climate-driven impacts on ocean biogeochemistry (deoxygenation, acidification, changes in organic carbon fluxes) are predicted from empirical models built on climatic scenarios. Areas where enhanced vertical mixing of ocean waters coincide with direct pressures of human activities (e.g. deep-sea mining, oil and gas extraction, deep-sea fishing), like seamounts, canyons, upwelling or polar regions, are also particularly sensitive to climatic effects. This justifies the need to consider climate change in environmental management and conservation strategies. The DOSI Climate WG aims to provide a platform to centralize information about scenarios and observations to better assess the impact of climate change on deep-sea ecosystems and to address cumulative pressures. The goal is to facilitate integration of this information in environmental impact assessment and management plans and in the design of Marine Protected Areas. We will also aim to identify high-vulnerability areas and foster interdisciplinary approaches to investigate how deep-sea ecosystems interact with climate on a functional basis. Both experimental and theoretical support is required to improve predictive models for this overlooked but largest component of the Earth system. The working group started its activities in August 2015, building on the COP21-related initiatives and sessions at the 14th Deep-sea Biology Symposium to build an international network. This group presently has 62 members from 18 countries. A short consensus statement signed by 272 scientists was presented to key figures at COP21 on the inclusion of the deep ocean in climate discussions. See statement below. In 2015, DOSI officially joined the Ocean and Climate Platform, a group of NGOs, scientists, academic institutions, professional associations and politicians dedicated to raising the profile of the ocean in climate negotiations. In advance of COP 21 Levin and Le Bris published a Perspectives piece in Science called ‘The Deep Ocean Under Climate Change’. During December 2015 there was a strong momentum for including the oceans in the discussions at COP21 in Le Bourget (both civil society area and negotiator area). DOSI contributions by Nadine Le Bris and Lisa Levin highlighted the role of the deep ocean in climate and climate impacts on deep-sea ecosystems on a Global Ocean Forum event on December, 3rd at the COP21 Generation Climate Area (talks can be followed in French here or in English here (from 1.22)) and at a Tara Ocean symposium in downtown Paris. At COP 21 we worked with others to make sure that the ocean is mentioned in the Paris Agreement. This has now officially happened (for the first time since the UNFCCC was signed in 1992) as of Dec. 12, 2015. Civil society is ready to support future ocean science & society issues on the role and vulnerability of the ocean under climate change, and the deep sea is acknowledged as an important part of it. A request to the IPCC for a special report on the oceans has been made by a consortium of 15 nations under the leadership of Prince Albert II of Monaco. The DOSI climate WG hopes to insure that the deep sea is well represented in this report, if it goes forward, and to contribute to preparations for COP22 in Marakesh, Morocco. DOSI statement to the new Oceans and Cryosphere IPCC scoping group, compiled June 2016 – A case for the deep ocean. DOSI Policy Brief submitted to the second meeting of the UN BBNJ PrepCom, August-September 2016 – Climate Change in Oceans Beyond National Jurisdiction. 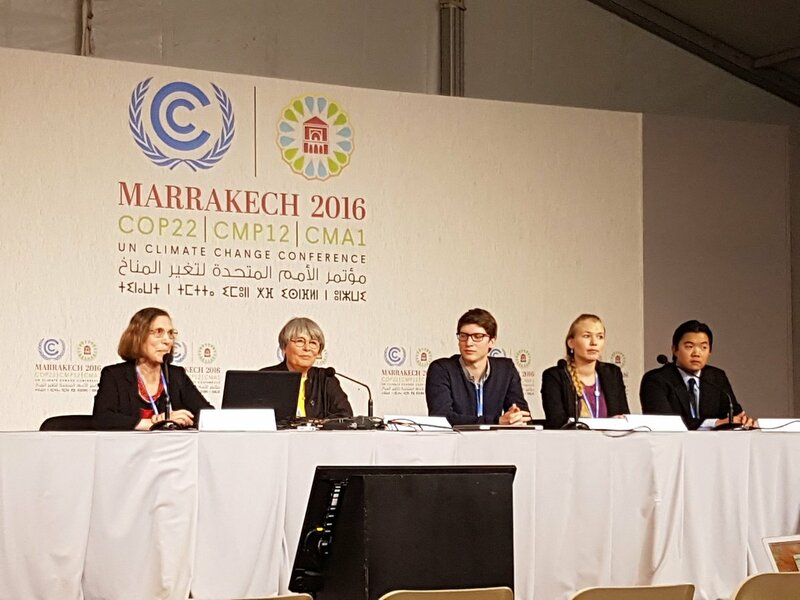 DOSI takes part in COP22 in Marakesh. 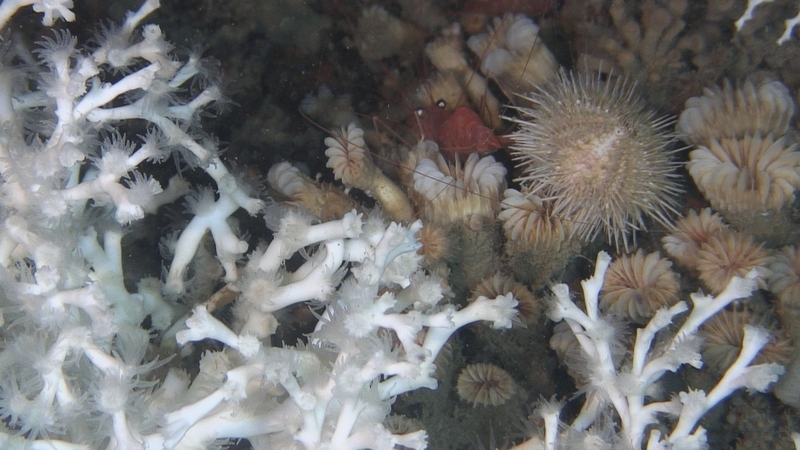 This clip features Climate Change Effects on Deep Ocean Biodiversity realms. Dr Lisa Levin introduces a panel of specialists during a Group discussion on Climate Change in the Deep Half of the Planet. 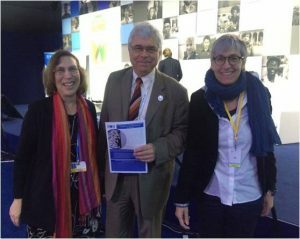 The Climate WG (Gaill, Levin) made a presentations on climate change in the deep ocean and its effects on sustainability at several side events, as well as a plenary intervention during the Prep Comm for SDG 14 at the UN in February 2017. DOSI Climate WG submitted a response to the UN ESOCA on SDG 14.3 (ocean acidification issues) and focused on the deep ocean. This was submitted in March 2017. DOSI WG Climate Change-Flyer V5, 2017. The deep sea is an integral part of the earth system and plays a significant role in minimizing the impact of human released CO2 on the earth’s climate. The waters and seafloor below 200m are one of the largest sinks of excess carbon dioxide and heat and have already absorbed more than a quarter of anthropogenic atmospheric CO2. Ocean acidification, warming and deoxygenation resulting from human CO2 release has already been observed in deep waters and these impacts are projected to intensify in coming decades. The deep sea, which accounts for 99% of the habitable volume of the planet, is recognized to be highly heterogeneous in space and time, comprised of many different ecosystems that provide key provisioning, supporting, regulating, and cultural services to the global population in addition to its role in the global carbon cycle and heat regulation. These services occur in waters both within and beyond national jurisdictions. For example, the regeneration of nutrients in the deep sea provides shallow-water ecosystems the ability to extract CO2 from the atmosphere and sustain productive, harvestable fish stocks. Deep-sea habitats are and will continue to be impacted by climate change due to the cumulative effect of different stressors on their biota, including expanding oxygen minimum zones, shoaling of aragonite saturation horizons, acidification and warming. These climate-change impacts combine with direct human activities to create vulnerable deep-sea areas. It is crucial to incorporate climate change into holistic environmental planning in the deep ocean and to develop a global ‘deep’ observing network targeting ecosystems and regions at the nexus of climate change and deep-sea exploitation. Greater attention to the role of the deep ocean in mitigation and impact in ocean modeling and reporting. Acknowledgement of the vulnerability and importance of the ocean and especially the deep ocean in negotiation text. Direction of adaptation funding to deep-ocean observations, long-term integrated ecosystem and physiology studies critical to an accurate assessment of climate change scenarios and their impacts on deep-sea services.